Chateau Camensac is perhaps, one of the more obscure, 1855 Classified Growths in the Medoc . 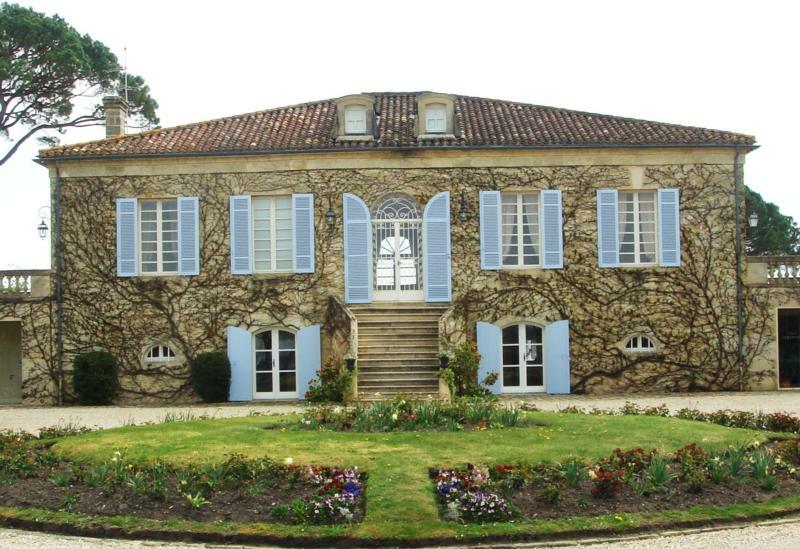 The original chateau which is still in use today, was constructed in the 18th century. Chateau Camensac was purchased by the Forner family in 1965. The Forner family first became active in wine making in Spain where they own the popular, Marques de Caceres winery. Marques de Caceres is located in the Rioja appellation of Spain. Their experience in the Spanish wine trade proved helpful in knowing what to do next, which was to renovate the estate and replant their Haut Medoc vineyards. They also modified the estates name slightly in 1988 when they changed it from Chateau de Camensac to just Chateau Camensac. They also hired the successful wine consultant Michel Rolland as well. Michel Rolland does not consult Chateau Camensac today. In 2005, Chateau Camensac was purchased by Jean Merlaut and his niece Celine Villars Loubet. In 2014, Claire Thomas-Chenard joined the team as the director of the estate. Claire Thomas-Chenard is well-known for her work at Chateau Soutard and Chateau Larmande in St Emilion. Chateau Camensac is situated slightly east of the St. Julien appellation. They are not far from Beychevelle. The 65 hectare Left Bank vineyard in the Haut Medoc appellation is situated not far from Chateau La Tour Carnet and Chateau Belgrave . The vineyard is planted to 60% Cabernet Sauvignon and 40% Merlot . the planting of only two grape varietals was due to the suggestion of Emile Peynaud. The terroir of Chateau Camensac is mostly gravel based soils. The vineyard is planted to a vine density of 10,000 vines per hectare. The vines are on average, 35 years of age. The vinification of Chateau Camensac takes place in temperature controlled, stainless steel vats. Malolactic fermentation is performed in a combination of vat and barrel. The wines of Chateau Camensac are aged for an average of 17 to 20 months in French, oak barrels that range from 35% to 70% new, French oak, depending on the character and the needs of vintage. The estate also produces a second wine , La Closerie de Camensac. The average annual production of Chateau Camensac is close to 20,000 cases per vintage. James Suckling 91“Aromas of plum cake and berries with hints of citrus. Medium body, firm and silky tannins and a savory finish.” J.S.